The following workshops can also be scheduled at your yoga studio or event center. This Workshop is a synthesis of yoga, meditation, and psychology practices focused on creating greater well-being. This is a two hour workshop. The first 90 minutes include guided meditation, breath work and yoga poses along with psycho-education on the mental and emotional effects of the practice. The practice is specifically designed to reduce stress, release negative emotions, and build inner strength. The final 30 minutes are a time for discussion, community, and support. 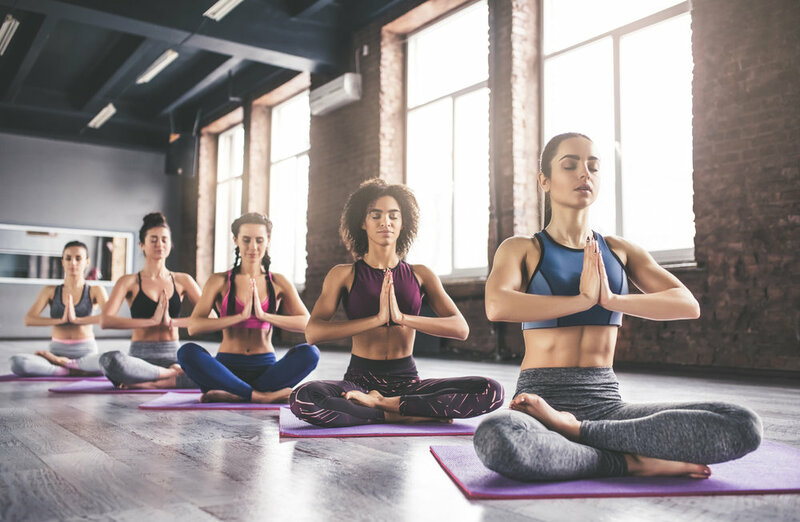 Yoga for Emotional Balance provides a safe container for deeper exploration into one's emotional and mental life, as well as the mind-body connection. Intimate setting; only 6 spots available! This workshop is based on the 10 principles that Dr. Marino has identified as leading to a life in alignment. What is a life in alignment? A life in alignment is one that is lived in congruency with ones values, meaning, and purpose. In Dr. Marino's experience as a psychologist, she began to discover that the root of so much unhappiness came from living a life that was out of alignment. Living a life that was based on external sources ideas of what that life should look like instead of one's internal beliefs, values, and drives. Living in Alignment© is a workshop intended to educate participants on the 10 principles that will bring that life back into alignment. Participants will leave with specific practices, ideas, and action steps to carry into their everyday life in order to become more fulfilled, happy, and satisfied. Participants will engage in specific exercises individually and in small groups in order to help them integrate the material and be able to use it in the real world. A supportive environment will be provided for deeper exploration. This workshop can be delivered as a brief 2-hour overview of the principles or, for a more in-depth discovery and application, half-day, full-day or retreat options are available. This workshop is a synthesis of yoga, meditation, and positive psychology techniques focused in 3 parts. In Part 1, Participants begin with writing exercises and discussion in order to Review ones current state of being in all areas of life: physical, mental, emotional, relational, and spiritual. In Part 2, participants will be lead through yoga, meditation, and breathing exercises to focus on Releasing what no longer serves them and what is standing in the way of moving forward. In Part 3, participants will Renew their spirit and commitment to themselves through writing, discussion, and community. Participants will leave with activities and exercises to help them stay committed. A safe and supportive environment will be provided. Intimate setting; only 6 spots available!